Passionate Woman is a new line of Body Scrubs which uses no preservatives, synthetic chemicals nor additives. Here, we use only 100% PURE Essential Oils and 100% PURE ingredients in all our Body Scrubs and HERO oils. Our dedication to bringing you a product free of toxins, gmo’s, and synthetic chemicals includes using only PET/BPA FREE containers or glass roller bottles. This all equates to NO additives, NO fillers, NO synthetics of any kind; something not all other body scrub providers cannot claim for themselves. Passionate Woman is about living a healthy non-toxic life. If you’re merely interested in “getting clean,” then any body scrub will do. However, if you’re interested in discovering the beneficial properties of the essential oils we use in Passionate Woman’s Body Scrubs and how these essential oils can harmonize your body, energize you or reinvigorate your body, you’ll want to check out our line of Body Scrubs. and our blend of HERO oils. Passionate Woman started from Dr. Charley Ferrer’s desire to reduce her toxic exposure after being diagnosed with breast and thyroid cancer. She’s not only developed a line of toxic-free body scrubs for women, she’s also developed a special line for women with cancer. 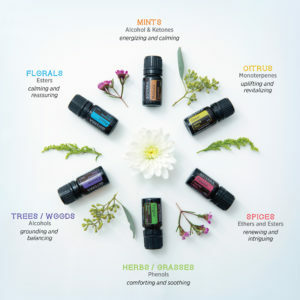 And because healing doesn’t end after your shower, she created a unique line of HERO oils which you can apply throughout the day to give you energy, re-invigorate you. At Passionate Woman we are dedicated to helping women improve their health, increase their stamina, and decrease their toxic exposure–and most of all, have fun doing it. Sign-up for our Upcoming Workshops to discover how to create your own Body Scrubs, explore the world of Essential Oils, and create *HERO oils* of your own. Plus, for this Holiday Season, we’re also conducting a few fun workshops on creating your own Holiday Spirtzer Sprays to make your home smell like …well…the holidays. Join our Newsletter to receive valuable information, discount offers, and FREEBIES!